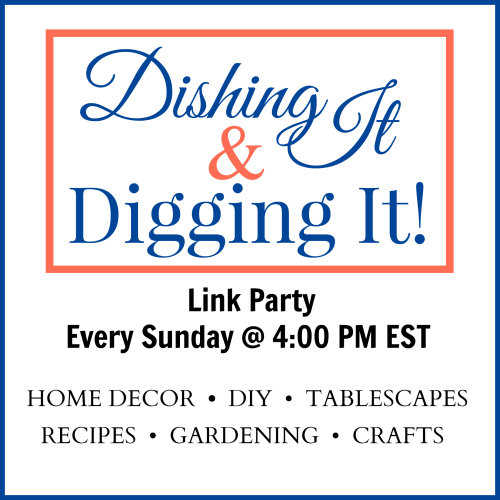 Welcome to Dishing It & Digging It Link Party! These barstools needed some help! We’ve had them since we moved into our home 6 years ago. They had all the features we wanted… height, swivel, back support and most important, they didn’t break the bank! The next year went by so fast! Mike and I continued going to church, learning and growing in our faith. My mom began attending church with my grandma. It’s amazing how God works. 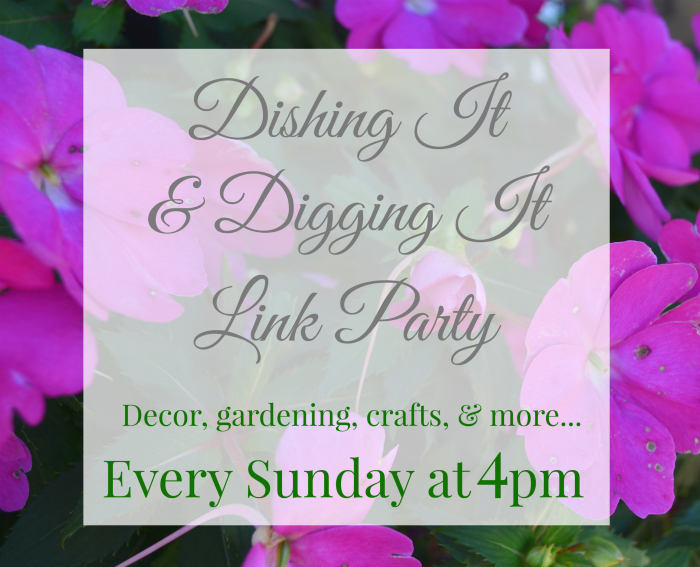 We began to plan a wedding…A wedding? Something I never dreamed would happen to me. 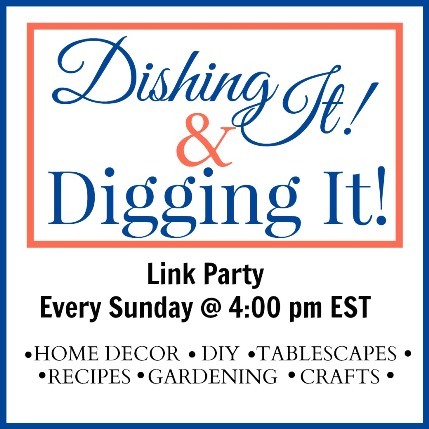 Welcome to the 99th linkup of the Dishing It & Digging It Link Party. I wanted to show you how easy it was to make the rustic metal trim, like I did on my last project, the DIY Hair Tools Organizer. Hi there!! We just got back from a great trip, visiting our son in Illinois. I miss that kid so much! Anyway, it’s back to the grind here and I promised to show you the 'hair tool mess' I’ve been dealing with….